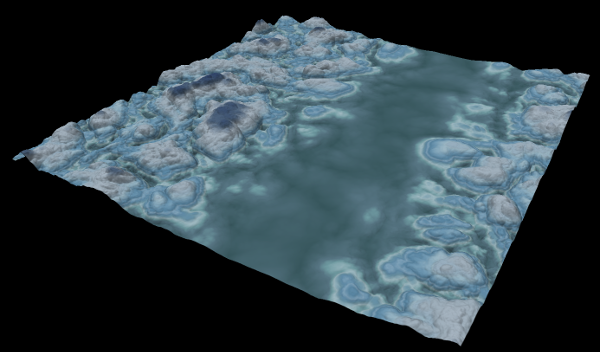 This node creates a plane terrain for which you define the elevation. 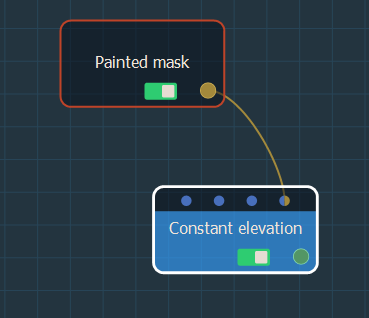 To add a Constant elevation node, right click in the Graph Editor and select Create Node > Terrain Generation > Constant elevation. 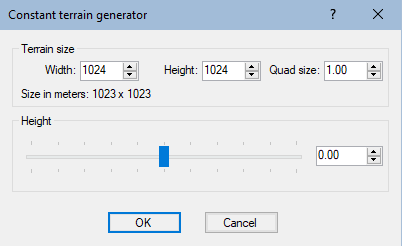 Use the slider to set the terrain height. Drive the node's height parameter with a mask linked to the optional connectors. The elevation's height is defined by the mask values.